Have you heard about the Petroleum Training Development Fund (PTDF) Scholarship 2019/2020? Petroleum Technology Development Fund (PTDF) is a Federal Government agency whose aim is, for instance, geared towards the development of petroleum technology to meet the primary needs of the oil and gas industries in Nigeria. 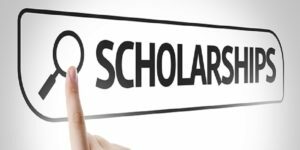 PTDF invites qualified students in Nigeria to apply for the PTDF Scholarship 2019-2020 Undergraduate, Masters as well as Ph.D. scholarships; this is only for students in Nigerian Federal Universities. Today, we will tell you all you need to know about PTDF how to successfully apply, application requirements, closing date and steps you all take to apply successfully. You will need to input your email address, and password which consequently will generate a pin that will help you to proceed to the application. The PTDF scholarship like other scholarships has its requirements, below are the requirements for each student who wishes to apply. Applicant must be in a federal University. With a minimum CGPA of 3.50 for 5point grading system and 2.5 for 4.0 grading system. You are required to provide your first-year transcript indicating your 100level performance. Your original SSCE certificates or your statement of results, having the university O’level requirements. A personal statement of about 100 words or below indicating your reason for studying your course. An admission letter for full-time admission into any federal University must be available. It is a must to have a National Youth Service Corps (NYSC) certificate or Letter of exemption. Evidence of state of origin. A personal statement of about 200 words, showing the reason why you have chosen to study your present course. You must possess an admission letter into a Nigeria federal University. Must have a minimum of Second Class Upper (2.1) in an Oil and Gas related course or a 2.2 with a minimum working experience of 2 years in the oil and gas company. Evidence of National Youth Service Corps (NYSC) certificate or Letter of exemption must be available. Postgraduate applicants are required to present the following document and to upload them in the online registration. A Personal Statement indicating your reason for choosing your course. Please note that the closing date for PTDF Scholarship 2019 hasn’t been announced yet.